A decade ago very few people had heard of online reputation and if they had, they certainly didn't give it much thought. Today, almost everyone is familiar with the terms online reputation and online reputation management. As well they should be. Because of the pervasiveness of the Internet, a person's online reputation can affect many aspects of their life. And the same holds true for businesses. Who Is Searching For You In Google? One of the biggest negative impacts a bad online reputation can have comes in the form of people seeking a new job. The vast majority (over 90%) of businesses in the United States recruit new employees online. And most of those same companies also screen potential job candidates online as well. The easiest way to do that? Simply perform a Google search on the job applicant's name. Something like one-third of Human Resource Department employees and hiring personnel state that they have ruled out candidates based solely on issues with online reputation. Those looking to get into a good university should be aware that upwards of 80% of colleges use Internet searches and social media (such as Facebook) in their recruiting efforts. If you want to move from a potential student to an accepted student, you need to have a clean online reputation. If you've already graduated college, and you already have a job, you don't want to be complacent and comfortable regarding your reputation. There are always people in business looking to network or looking to steal a great employee from their current job, or many other reasons why, without you knowing it, Google searches of your name can be occurring at any time. This is why it's vital that wherever you are in life, you want to always be confident that your online reputation is positive (or becomes positive if it isn't currently). Does Everyone Need To Be Concerned With Their Online Reputation? You might feel that given your current circumstances (such as already graduated from college and not looking to apply to one, already employed and not looking to interview for a new job), the state of your online reputation isn't important. That's not a good approach to take. Eventually your online reputation will matter - you just don't know when or how right now. When it does matter, when it is important, if it isn't sterling at that moment, you'll be panicked. That's because improving your reputation takes some time - it's a process, not a single one-time act. While the Internet world changes and progresses at a rapid rate, it is also exceedingly slow to forget. An unflattering news article, blog post or photograph from years ago might still appear on the first page of a Google search for your name if Google feels they're relevant to the search. You don't need to take our word for it - even huge business sites such as business.com discuss the importance of your online reputation. While you may feel that you've done nothing wrong to merit a poor reputation, you should keep in mind that it is possible develop a negative online reputation by no fault of your own. A person with the same name as you may have a criminal record or could have participated in some bad behavior, an in either case might end up with negative information on the first page of a Google search. Maybe you became engaged in a political controversy or argument online, and unbeknown to you some of that back-and-forth got picked up by Google. You could have been falsely or unfairly accused of something, and don't even know that this information shows up in Google. 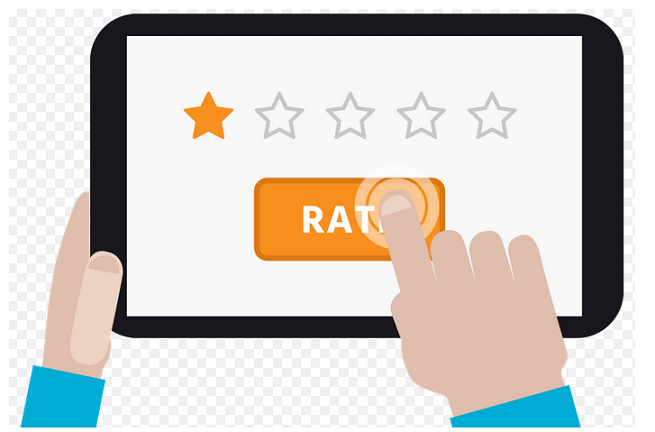 If you have a business, that business might have many positive reviews, but one of the very few negative reviews ends up appearing in a Google search of your company name. Situations such as these aren't under your control, which means they can result in negative information showing up (fairly or not). The repairing of your online reputation isn't something that can occur in a day or two. Success is achieved by creating new, positive content, and by boosting the rankings of existing positive (or even neutral) websites, pages and social media profiles. That's where Fix Your Search Results comes in. Give us a little time, and your reputation will become one that will give you the peace of mind of knowing that whoever searches your name, whenever they search your name, the results will be satisfactory and your future won't be negatively impacted.